May 22nd is election day! It is the general election for local offices and the primary for statewide races. 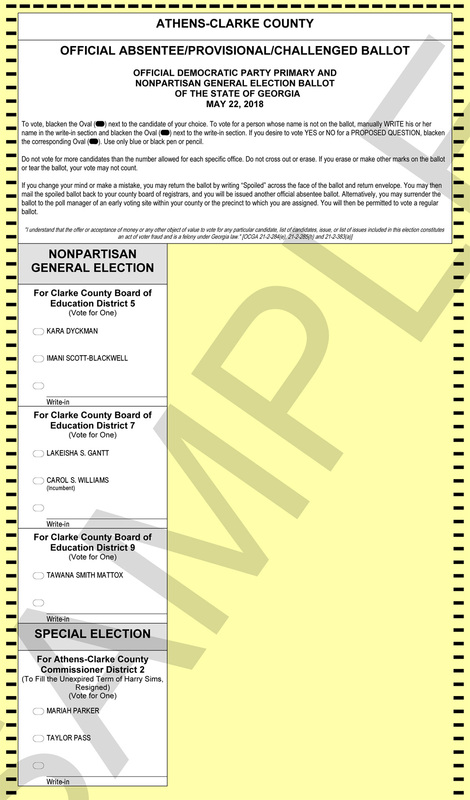 Take a moment to familiarize yourself with the sample ballot before you go vote. 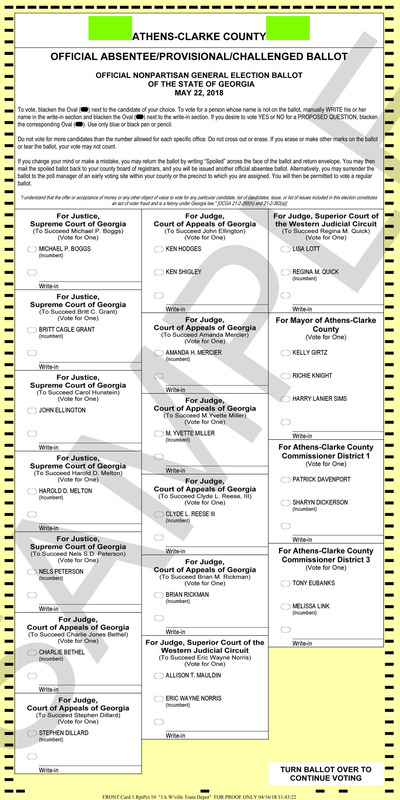 In Georgia, we have open primaries, meaning anyone may select any party’s ballot. 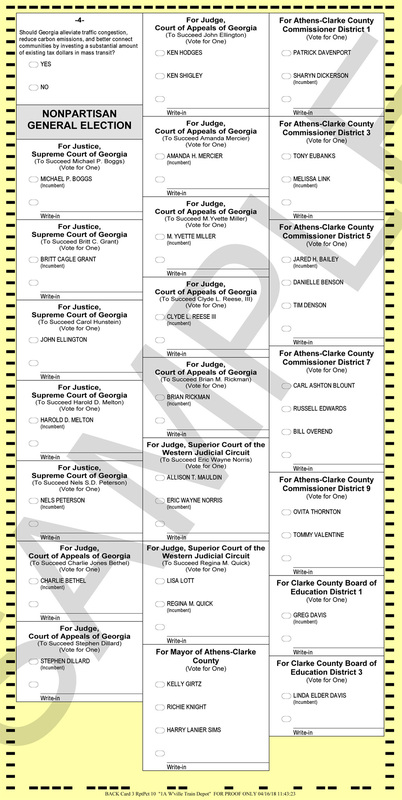 We have the Democrat, Republican and Non-Partisan ballots here for your examination. Our voter guide is still being finalized and it will be published soon. 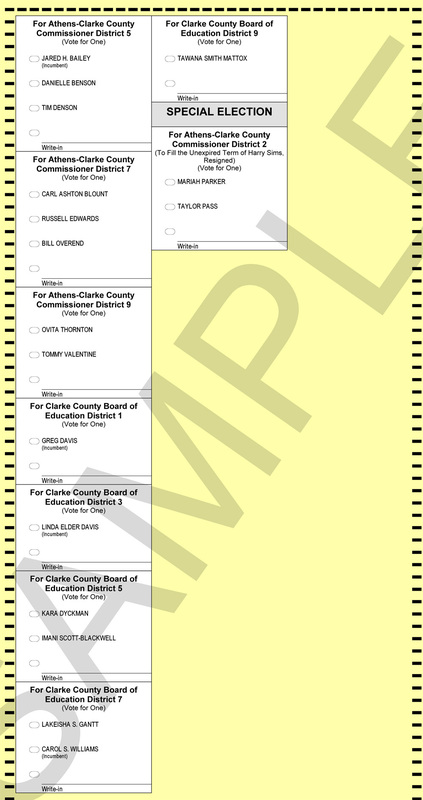 This is a composite ballot, meaning all districts are listed. Not everyone will get to vote in all of these races, but you can check which districts you live in here: athensforeveryone.com/maps.